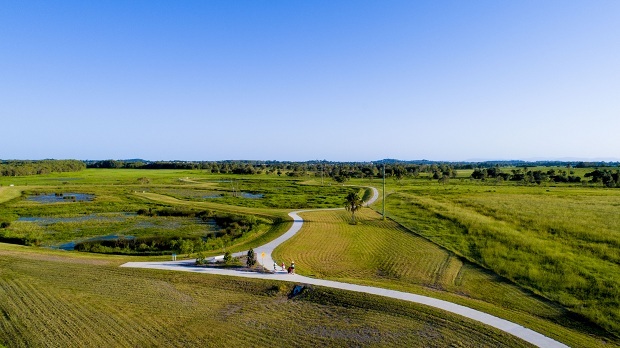 Located within Plantation Palms, the Rosewood Drive Reserve is a constructed wetland area which provides a safe habitat for birdlife, aquatic and terrestrial animals. The Reserve includes 1.5kms of walking tracks, so that you can explore and discover this diverse area while protecting its precious ecosystem. The wetlands have the capacity to provide effective water quality for 53Ha of local residential development. Access the Rosewood Drive Reserve from Rosewood Drive, opposite our Land Display Centre.